Drama goes on to hopeless and attacked refugees – Kenyatta University TV (KUTV). All Rights Reserved. By the thousands they came, fleeing bombs, brutality and hardship. At day, they tore through muddy fields; at night, they huddled around small fires. Young and old, they passed through barbed wire, crammed inside trucks and braved rough seas in flimsy boats. Along the way, they saw loved ones – wives and husbands, daughters and sons – perish. With little left to lose, they persevered, only to have their path – and a chance for a better life – blocked. Days of despair have since turned into weeks, and weeks into months. But the nightmare won’t let go, each time appearing under a new guise. 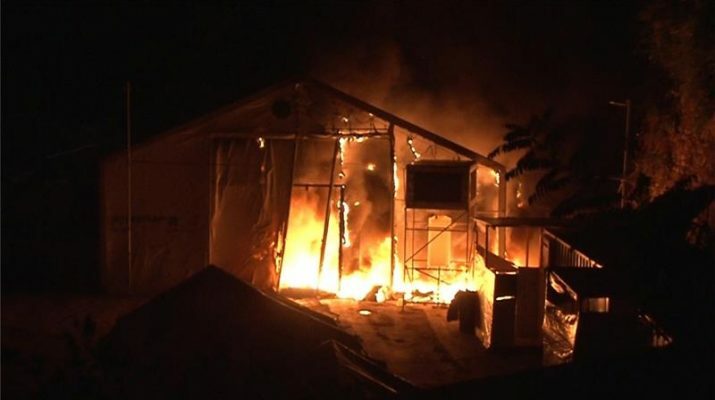 Twice last week, a lethal mix of Molotov bombs and massive stones rained down on a cluster of tents perched inside the overcrowded Souda refugee camp on the Greek island of Chios. It cracked skulls, burned belongings and spread panic. The potentially murderous attacks, carried out from the top of an ancient castle wall rising next to the narrow camp, were enough to inflict further pain on Souda’s already traumatized residents. Scores of children, men and women, some pregnant, refused to go back, opting to sleep out in the winter cold than risking suffering another night of violence. “These people escaped war zones and survived shipwrecks, to be attacked now with firebombs and stones,” Claire Whelan, a Chios-based worker for the Norwegian Refugee Council, told Al Jazeera. Just as Souda was burning, another tragic milestone was marked further south, off the coast of Libya – yet few noticed. Four shipwrecks in less than three days left almost 340 refugees dead or missing, according to the International Organization for Migration. This means there have now been more than 4,500 deaths in the Mediterranean this year, making 2016 the deadliest for people risking the perilous journey to Europe. That’s at least 14 deaths a day, one every 100 minutes, just in these waters.